Key lime pie is an American dessert made of key lime juice, egg yolks, and sweetened condensed milk in a pie crust. 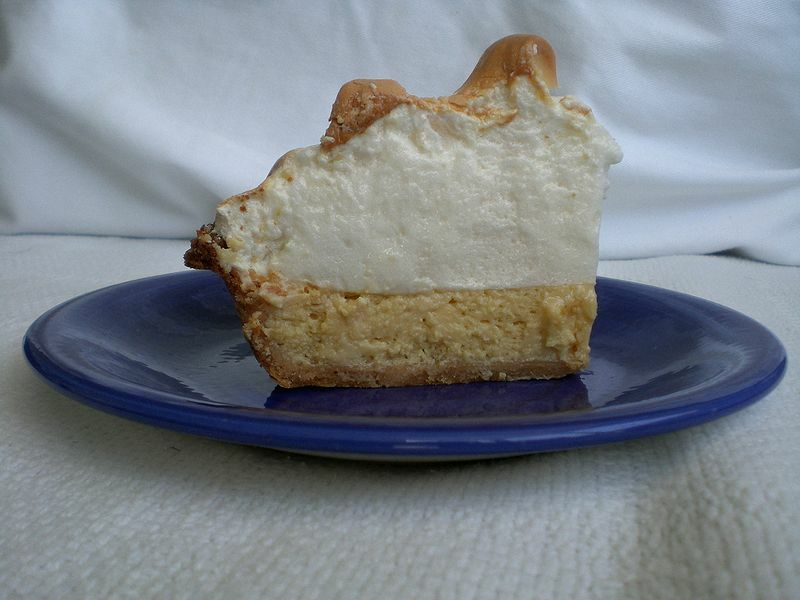 The traditional conch version uses the egg whites and has a meringue topping. The dish is named after the small key limes (Citrus aurantifolia 'Swingle') that are naturalized throughout the Florida Keys. While their thorns make them less tractable, and their thin yellow rind more perishable, key limes are more tart and aromatic than the common Persian limes seen year round in most U.S. grocery stores. Left: Tree-ripened key lime. Color is bright yellow, unlike the more common green Persian limes. Key lime pie is made with canned sweetened condensed milk, since fresh milk was not a common commodity in the Florida Keys before modern refrigerated distribution methods. 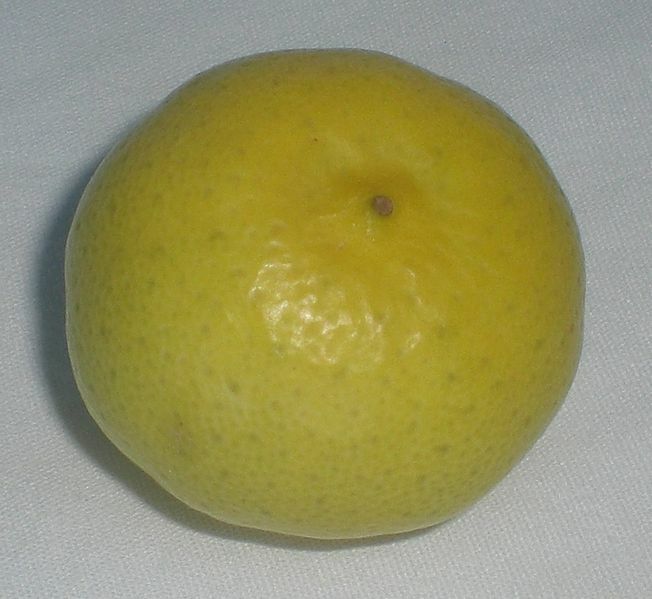 Key lime juice, unlike regular lime juice, is a pale yellow. The filling in key lime pie is also yellow, largely due to the egg yolks. Some cooks add food coloring to give the pie filling a green color. This practice is frowned upon by those who make traditional key lime pies. Left: A slice of key lime pie. During mixing, a reaction between the condensed milk and the acidic lime juice occurs which causes the filling to thicken on its own without requiring baking. 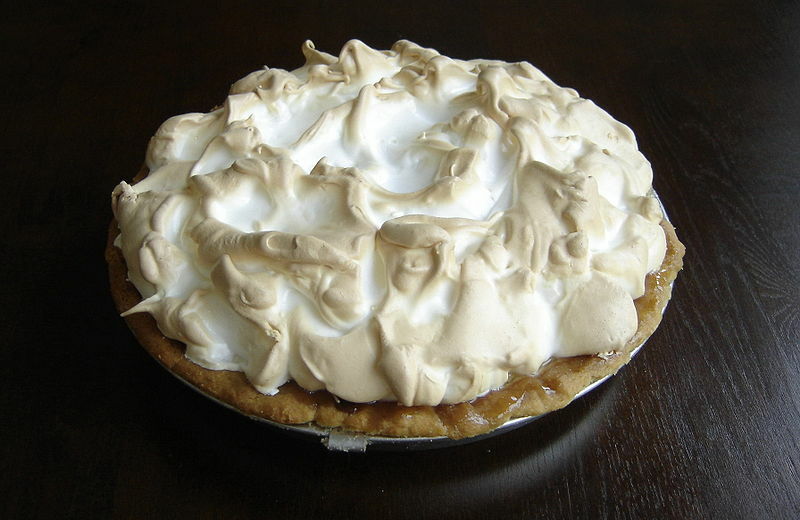 Many early recipes for key lime pie did not instruct the cook to ever bake the pie, relying on this chemical reaction (called souring) to produce the proper consistency of the filling. Today, in the interest of safety due to consumption of raw eggs, pies of this nature are usually baked for a short time. The baking also thickens the texture more than the reaction alone.